I have always loved warm, sunny days. Then I had a very active kid who loves to run and explore and I DEPEND on warm, sunny days! However, there’s this whole weather cycle that we also depend on so some days that active kid is going to be stuck inside with a lot of pent up energy. Here in the Southeast, a few inches of snow can close school for several days, and there’s only so much snow adventure (and mess) a mom can take! Sure, we can get some peace and keep the kids entertained for awhile with t.v. or electronic devices, but kids need to move. When we let our son play on the iPad too long, his attitude changes for the worse. When we are able to get him outside and jump on the trampoline, his attitude is so much better and our evenings go smoother. 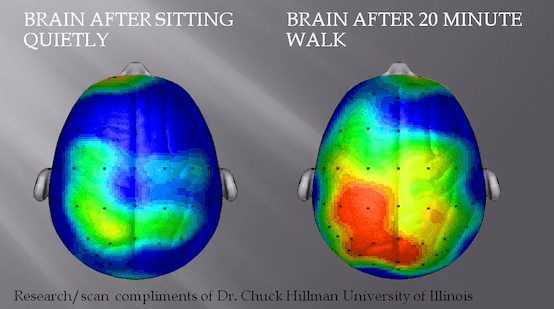 There’s research to back-up the difference in our mental state after a long stretch of sitting vs. getting some exercise. Take a look at the difference in the brain activity from this researcher’s study. Kids need to move! 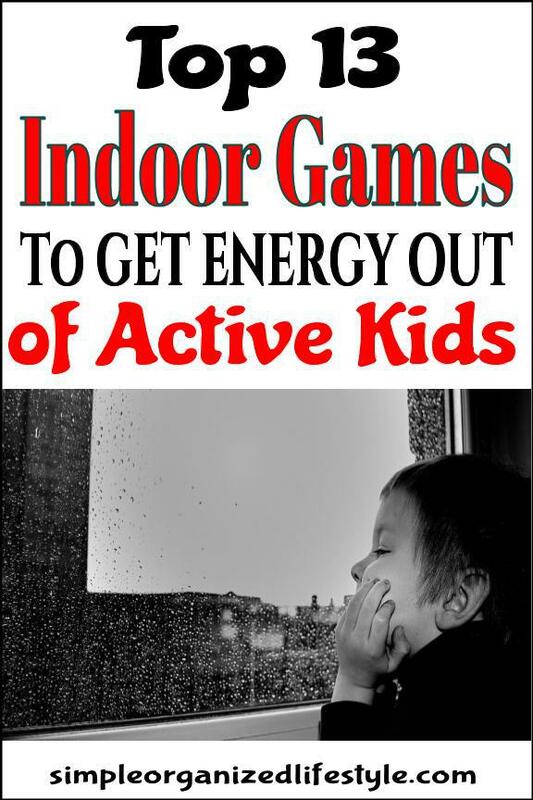 So, what are some ideas when it’s raining or too cold and you need to get energy out of active kids? 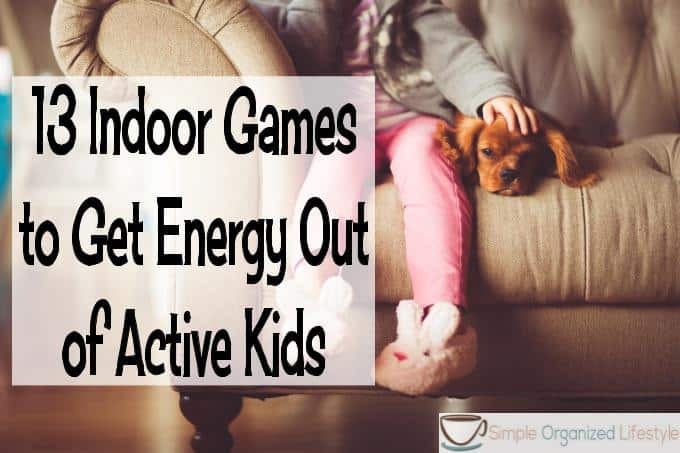 Here’s 10 easy go-to list of indoor games to get energy out of active kids. Put on some music and bust a move (wow, that tells my age!). It’s just hard to resist a good song as this four year old on the Ellen show can agree! Adorable… and I’m guessing he doesn’t like to sit still for a long period of time either. Keep some balloons on hand with these days in mind and see how long you can keep them in the air. So many variations of a game with a balloon- keep it up in the air with a towel/blanket, keep it up with your feet, walk with it between your legs, hit it with a cardboard tube, lots of possibilities! Stream something like https://www.gonoodle.com/ on your t.v. There are many apps and websites with videos kids can imitate to get the wiggles out. Technology can help when we need them to be still AND when we need them to be active, yay! This one takes a little preparation, but how much fun to get the kids moving through the house as they search for clues to find a hidden object! * A place where we eat. * A place where we sleep. * Scrub-a-dub-dub, look in the _______. * No more monkeys jumping on the _______. or, for older kids, you could put a lot more guess work into it and create clues that lead them to the inside of a book or toy. Another variation is to give them 10 things to find around the house and have them check off each one and/or bring them to a certain spot. It could easily be adapted for younger kids with picture clues. Instead of “pick up your toys” this becomes a game of I’m going to “see how fast you can pick up your toys/books/cars/legos/puzzles” and then set a timer. Some foam balls and paddles are fun (and safe) when kids are stuck indoors for games in the hallway. Set up a laundry basket or two and toss a (soft) ball into them. I love this mom’s idea for indoor skee ball and will be trying it out the next time we need some indoor adventures! Baskets are great when you need any kind of indoor goal. Even balled up socks can be turned into a simple game of tossing! 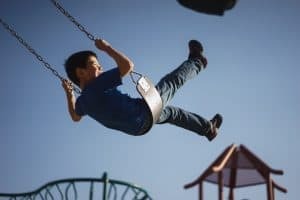 During the toddler years, we had one of those small trampolines that I would recommend to any mom with an active little one. Now, we just pull off a mattress and give him permission to jump! If you don’t want to go that route, then make a path of pillows and tell them to “hop like a frog, jump like a kangaroo, hop like a bunny, etc. from pillow to pillow.” Jumping over the pillows works too! A classic game to find some kind of object by telling them if they are cold (far away), getting warmer (closer) or hot (the object is within their reach). Another classic game! This one can be turned into a game of running/walking/dancing around a room, rug, etc. until “freeze” is called and they have to hold their pose. Give them a few seconds and then “unfreeze” to get back to moving. If you don’t have any foam balls, some balled up socks or paper will do. Find a place where they can be tossed over a bed, over a couch, chair, etc. and let the indoor snowball fight ducking and dodging begin! See how low you can go indoors using a yardstick, broom, jump rope, pool noodle, or anything long enough to create a game of limbo! And for kids ages 3-7, below are two classic “get moving songs” that are simple, fun and (bonus) teach them too! Kids love to sing this song and do the movements faster and faster each time! Any other ideas to get kids moving when they’re stuck indoors? Leave them in the comments, we’d love to hear!